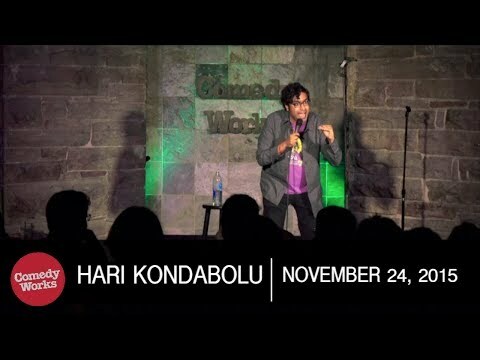 Hari has released two comedy albums, “Waiting for 2042” & “Mainstream American Comic” with the legendary indie rock label Kill Rock Stars. He has performed on The Late Show with David Letterman,Conan, Jimmy Kimmel Live, John Oliver’s NY Stand-Up Show, @Midnight & has his own half-hour special on Comedy Central. Hari is also a former writer & correspondent on the Chris Rock produced FX TV show Totally Biased with W. Kamau Bell. In 2017, he released his critically acclaimed documentary The Problem with Apu on truTV. Hari is a regular on the public radio gameshow Wait, Wait Don’t Tell Me. Hari has also appeared on such notable radio shows and podcasts as Fresh Air with Terry Gross, WTF with Marc Maron, 2 Dope Queens, Morning Edition and All Things Considered. He co-hosted the popular Politically Reactive podcast with W. Kamau Bell and currently co-hosts The Kondabolu Brothers Podcast with his brother Ashok on Earwolf.